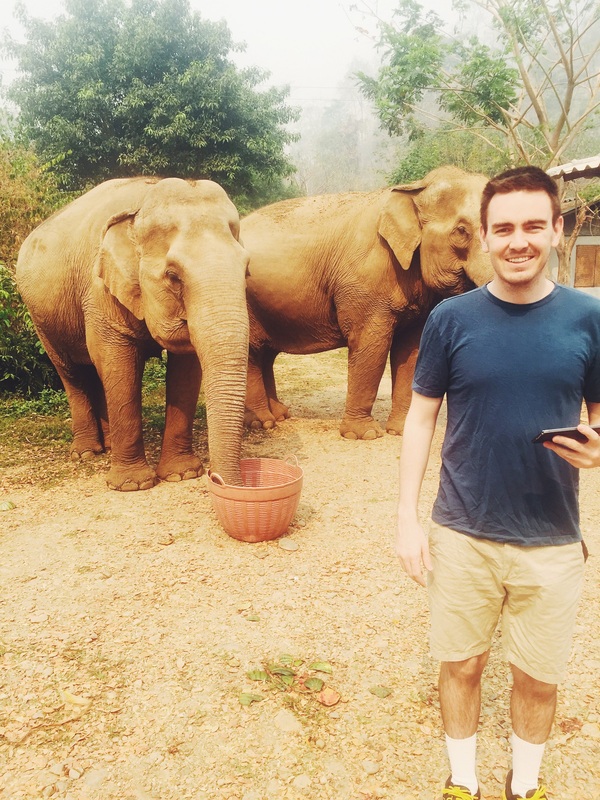 the highlight of our trip to thailand was going to the elephant nature park located about an hour outside of chiang mai. okay, maybe it is even a highlight of my life. b and i are very much animal people. 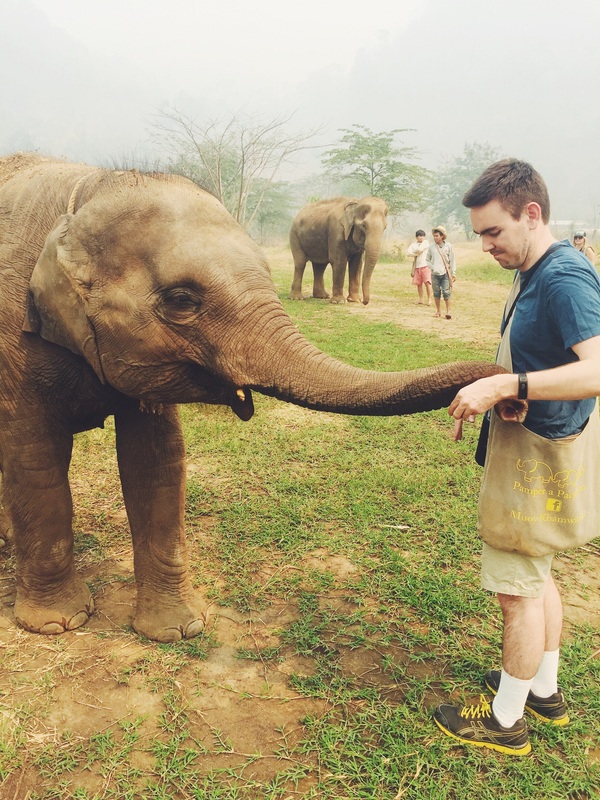 we knew there would be many opportunities to interact with animals when traveling to thailand and we were very excited by this. but we also wanted to be cautious of what kind of interactions to have. we wanted to make sure that all the animals we were around were treated humanely. 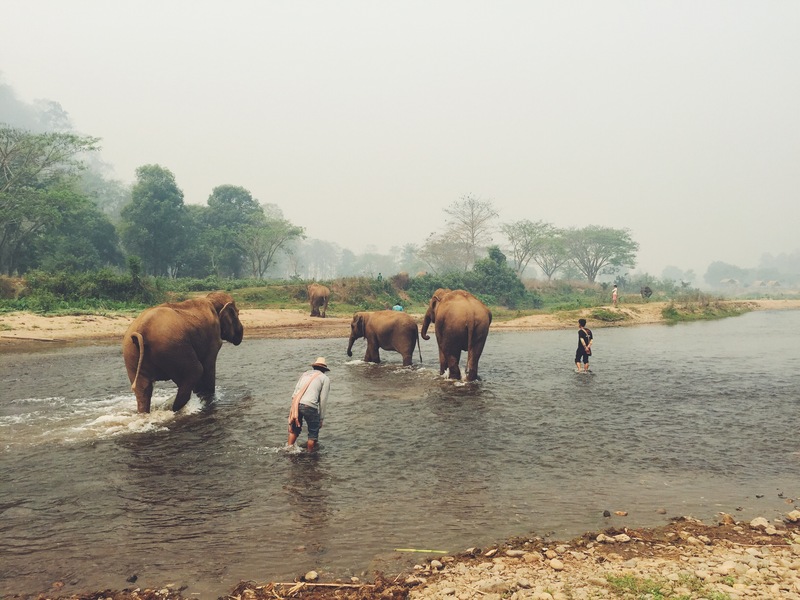 there are many companies in thailand that use elephants just for the sake of tourism. the elephants are often beaten and taken away from their families in order to break the elephant’s spirit. these tactics help the owner to show the elephant who is boss. this treatment of elephants breaks my heart and i knew i didn’t want anything to do with those type of companies. i didn’t want to ride an elephant. 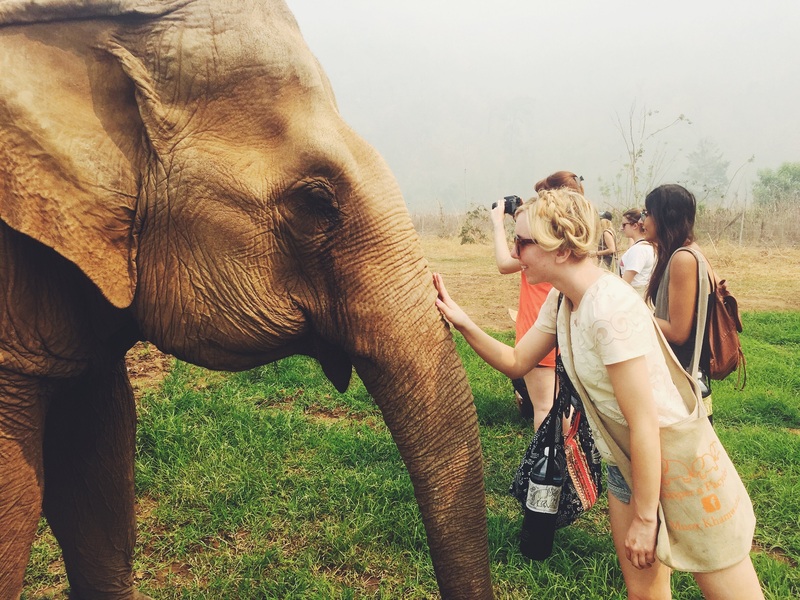 i wanted to love and nurture an elephant. after much research, we came across elephant nature park. 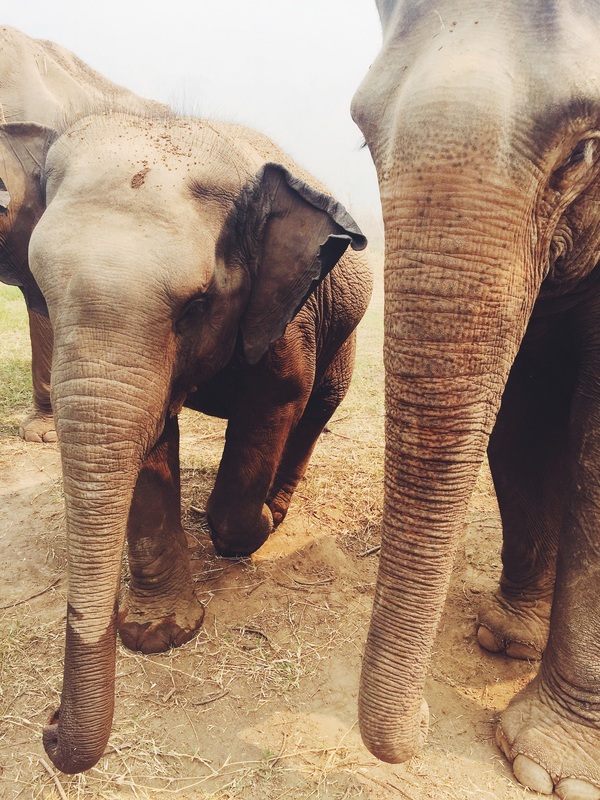 elephant nature park rescues abused elephants from tourism and provides them with a sanctuary inside their camp. 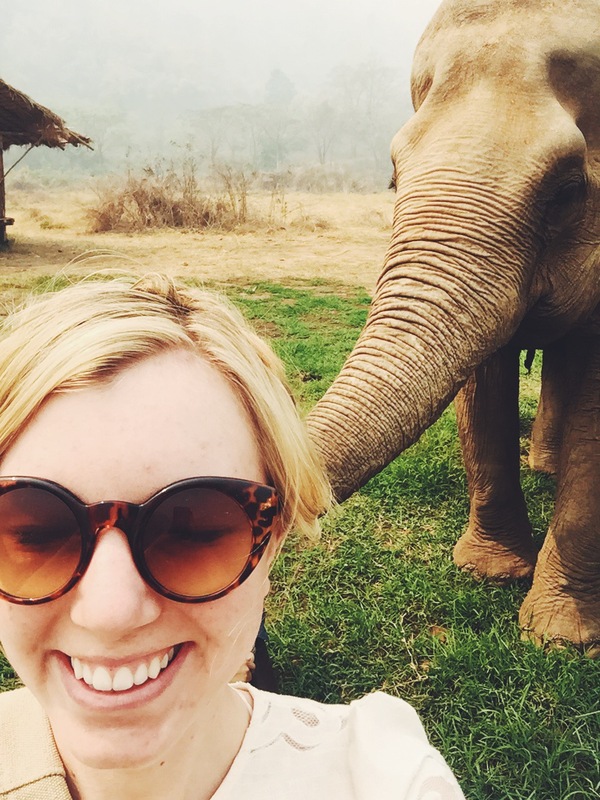 all the elephants are treated with care and given free rein to roam the entirety of the estate. 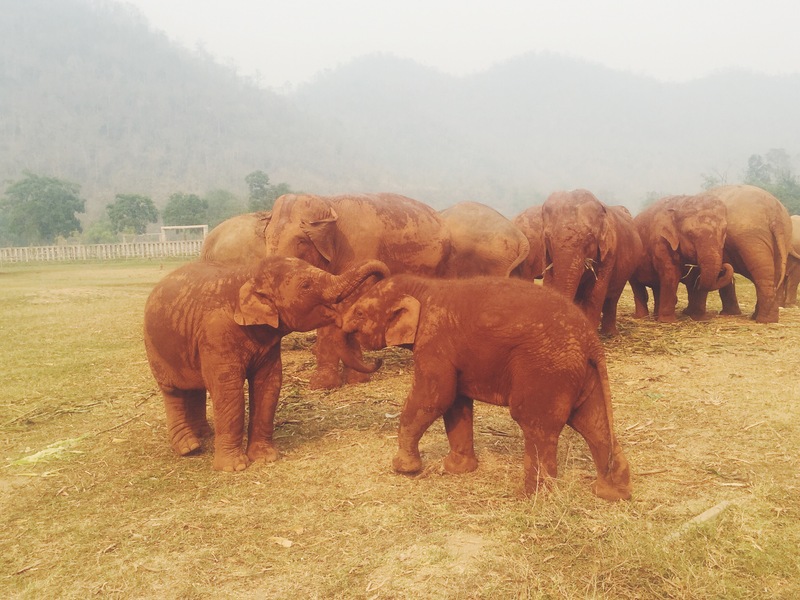 the elephant nature park has rescued baby elephants when they were stripped away from their mothers in tourism and provided them with adoptive parents and loving aunts. it is a wonderful oasis for these elephants who have lived rough lives. elephant nature park hopes to one day release these animals back into the wild. 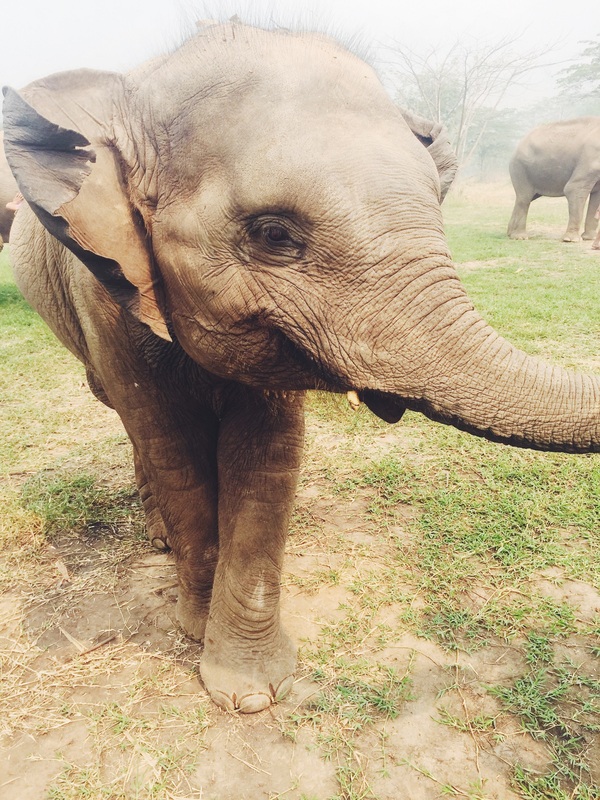 we signed up for “pamper a pachyderm” program through elephant nature park. i will be honest, it is a bit more expensive to have an experience like this. we paid about $185/person but it is a full day and after visiting the camp, i knew my money was completely well spent. the money was going to feeding the elephants (did you know an elephant eats about 3 tons of food a day? ), employing nurturing guides/care takers and running a business. the tour included transportation to the park (approx. 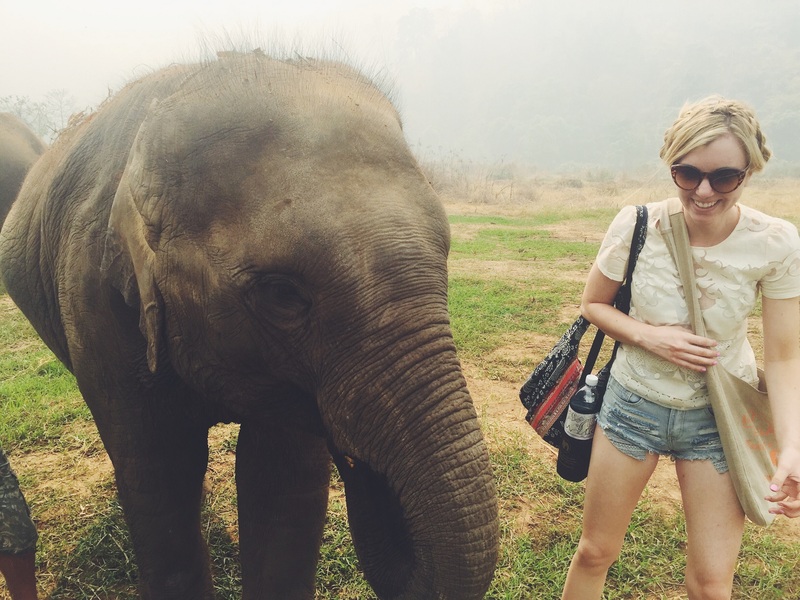 1 hour outside of chiang mai), lunch (one of the best meals i had in thailand mind you) in a hut overlooking the river, white water rafting and loving on these gentle giants. b and i were able to feed, bathe, walk with and love on 4 adult female asian elephants and 1 four year old male asian elephant. it was a dream come true. not to mention the landscape surrounding the park was completely breath taking. this is one day i will treasure for many years to come. tip! you do have to walk a lot with this tour so be prepared. i would also advise you to bring water shoes for crossing the river, bug spray and sunscreen. 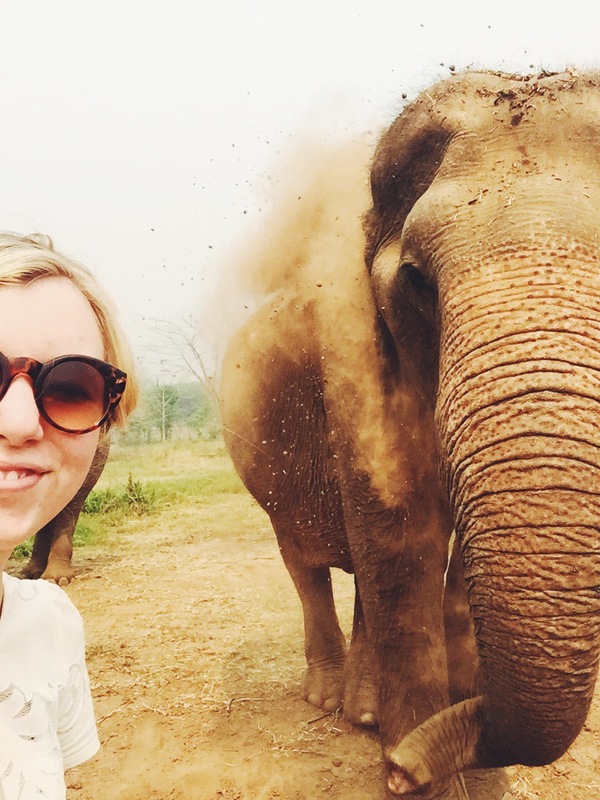 This entry was posted in Guide to Thailand and tagged chiang mai, elephant encounter, elephant nature park, thailand on 04/08/2015 by Ems. this weekend was one of the hardest weekends i have ever been through. i did not plan for it to be this way. i actually was looking forward to this weekend for months. it was the weekend my parents were planning on coming to visit. it was the weekend that they would stay with me and we would celebrate easter and my mom’s upcoming birthday. but it wasn’t that weekend at all. let’s start at the beginning – thursday evening. thursday evening, i received a call from my dad. naturally, i thought it would be about weekend plans, requests and flight information. but when i picked up the phone, i already knew something was not right. my dad was crying (sobbing really). he had just received a call from our dog’s (kelsey is her name) veterinarian. the vet had taken some tests earlier in the week to see why kelsey was having coughing fits. turns out she had lymphoma and it had spread all over her body. my dad was informed that kelsey had days (maybe weeks) to live. when my dad told me this news i immediately told him that he and my mom could not leave our dear kelsey this weekend. that i would travel down south to them. i needed to be with my dog during this time. my bones ached to be by her side. i love my kelsey with every fiber of my being. she is/was the perfect companion. flights were booked for the following morning (thank goodness i already had work off). as soon as i went through the logistics of getting down there, all that was left was to cry. i prayed and i cried. i didn’t want my precious kelsey to suffer but i also didn’t want her to leave me. she was the spirit of my childhood home. she was in my wedding pictures. she comforted me through breakups. she loved me like no other could. i know it may sound silly to talk about a dog like this but this little dog of mine was more like a sister to me than anything else. when i arrived at my childhood home on friday, kelsey immediately greeted me. 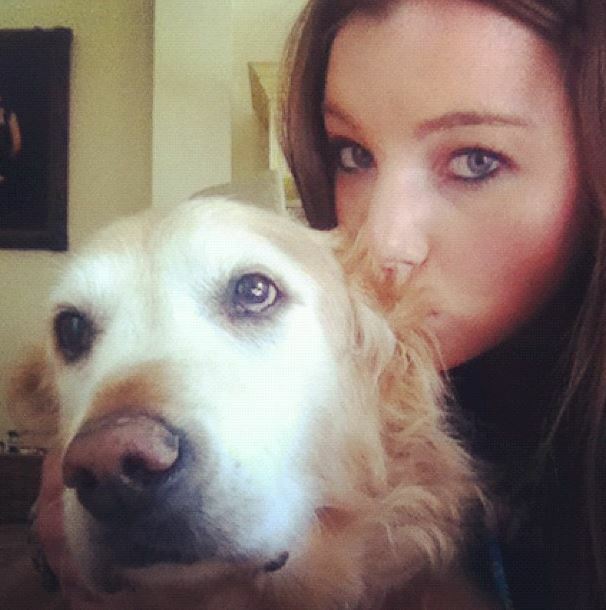 she walked over to me, wagged her tail and i stroked her flowing golden locks. it was a comfort to see her doing okay despite the diagnosis. i mean yes she had trouble getting up but she is a 15 year old golden and so that happens. 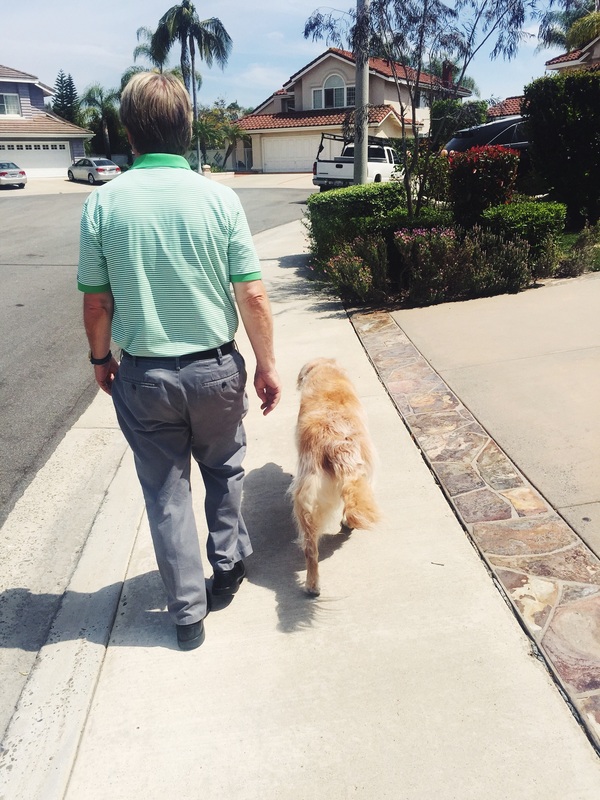 i took her on a walk with my parents and still everything felt the same. she was so happy to be with everyone. saturday morning came around and my dad had made an appointment for her to see another vet to help with the pain. she walked around the vet office and traveled in the car just fine. when we got home, she was exhausted and went to her usual place by the piano to sleep. she slept for hours. later in the afternoon, she tried to get up and she couldn’t. her body wouldn’t let her. my dad lifted her up to see if that would help and it looked like she just couldn’t control her joints / bones because she almost immediately collapsed. she was hard of breathing and didn’t want any water or food. all of our hearts were breaking. we all raced to be by her side so she knew she was loved and to not worry about us. this went on for a couple hours. late into the evening when we realized she didn’t want dinner, we knew something was wrong. she was gasping for air and was no longer wagging her tail. she was deteriorating before our eyes and it was one of the hardest things to watch. we decided as a family that there could be no more suffering. that this would be her last night. she was put to sleep in our home with her family completely surrounding her. my heart is still constantly aching. i woke up and couldn’t believe she was not there. was not there to greet me. was not there to bark at my dad to give her more food. was not there to slobber all over the kitchen floor. was not there to steal my socks. was not there to smile at me. 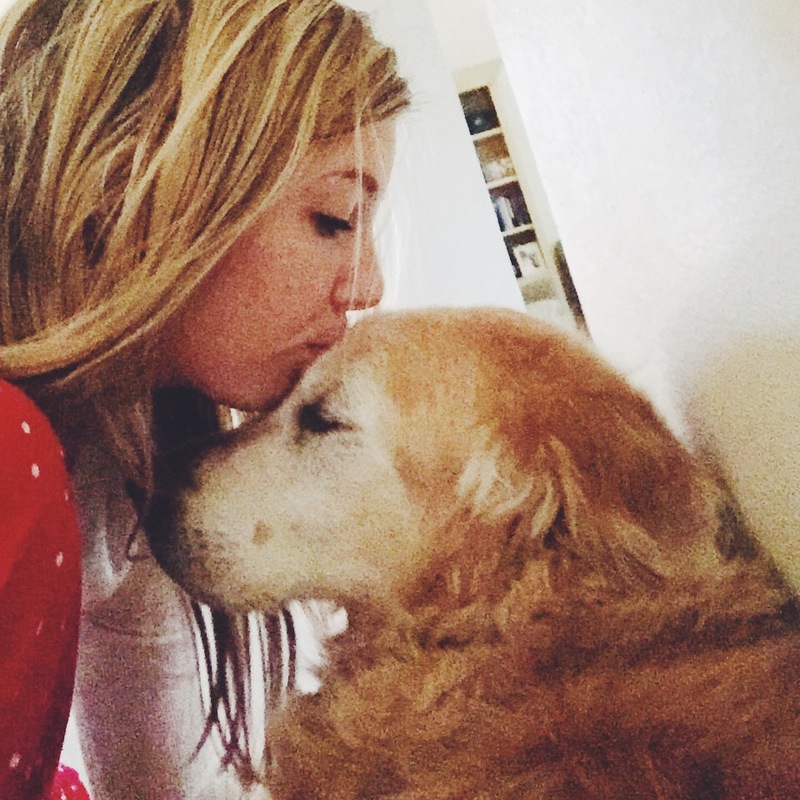 i am so grateful for the 15 years she was in my life. she was the biggest blessing. i am holding on tightly to the idea that all dogs go to heaven because she deserves it and more. 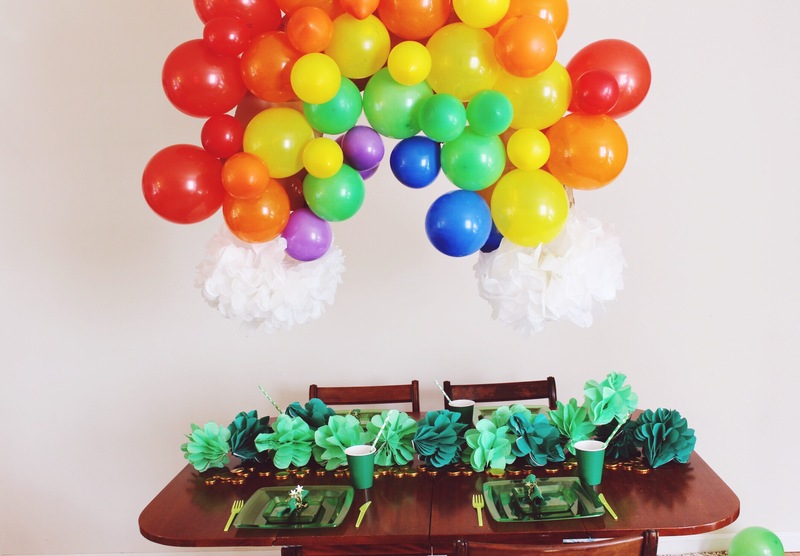 This entry was posted in Let's Get Real on 04/07/2015 by Ems. 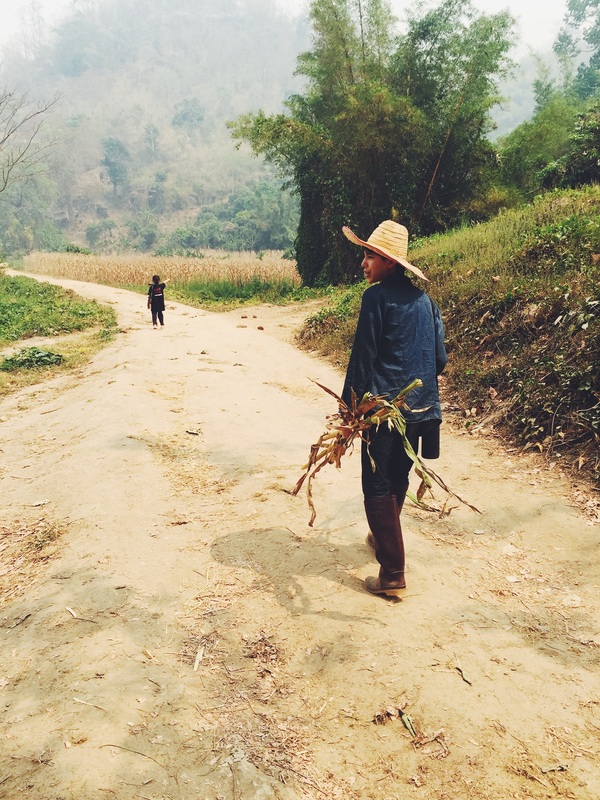 if you haven’t heard…b and i recently returned from a 10 day trip to thailand. we decided to visit three different cities while in thailand. although, i do i feel like we could have spent 2 more weeks exploring this wonderful country; we made the most out of the time we had and really got a great glimpse of thailand. b is already talking about when we can return. 10am: arrive in the bustling city of bangkok via airport taxi. bangkok is full of high rises and little grocery huts within feet of one another. we immediately noticed the diversity of living quarters in this up and coming city. the drivers here are aggressive and scooters flood the streets (just the way b likes it). so take it all in as you enter the city because i don’t think i have seen anything quite like it. 12pm: everyone i spoke to prior to heading to thailand raved about the street food. i must admit i may have one of the most sensitive stomachs out there so i was a little skeptical. i also can’t take that much spice in my meal which made me that much more apprehensive about trying street food but when in thailand, right? 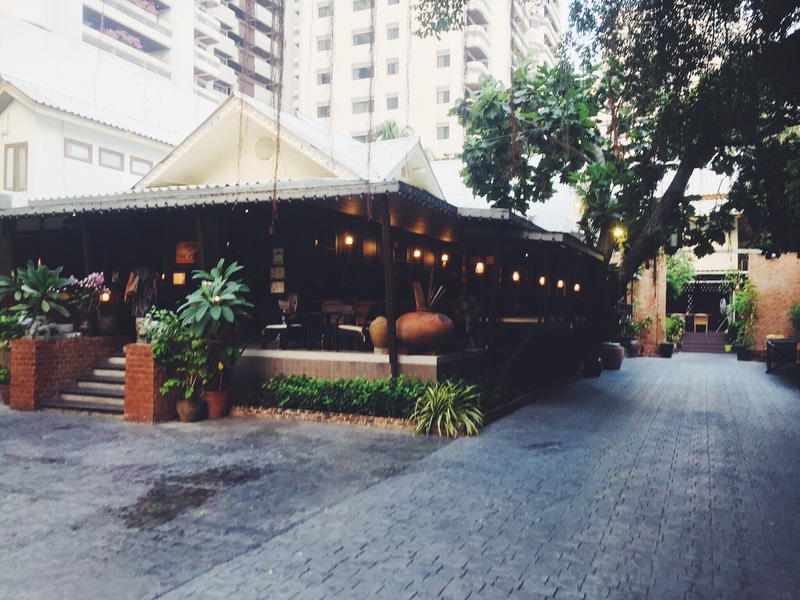 we stayed at the park plaza sukhumvit hotel and i would highly recommend it. the park plaza sukhumvit is located walking distance to the sky train (so easy access to all parts of the city) as well as lots of shops / restaurants. for our first lunch, we decided to throw caution to the wind and wander the streets for some grub. we definitely were among the locals that afternoon! 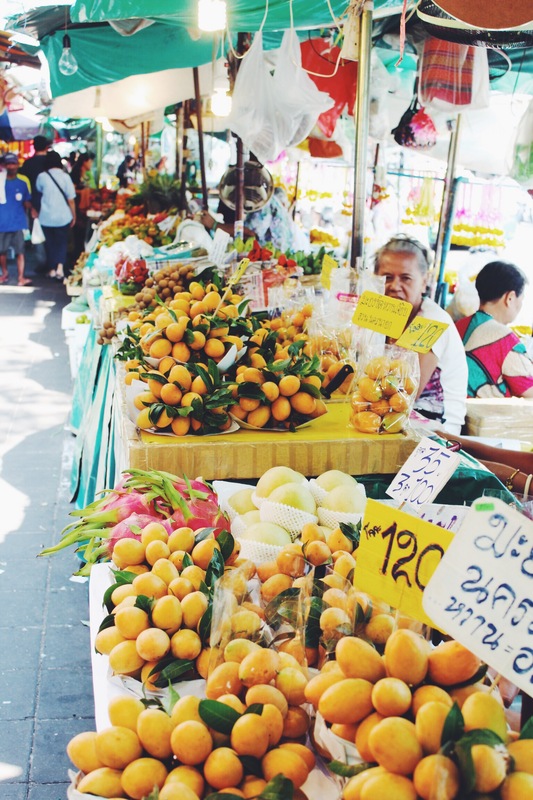 don’t miss out on the fresh juices located on almost every block in bangkok. a nice watermelon juice was the perfect treat in the heat! 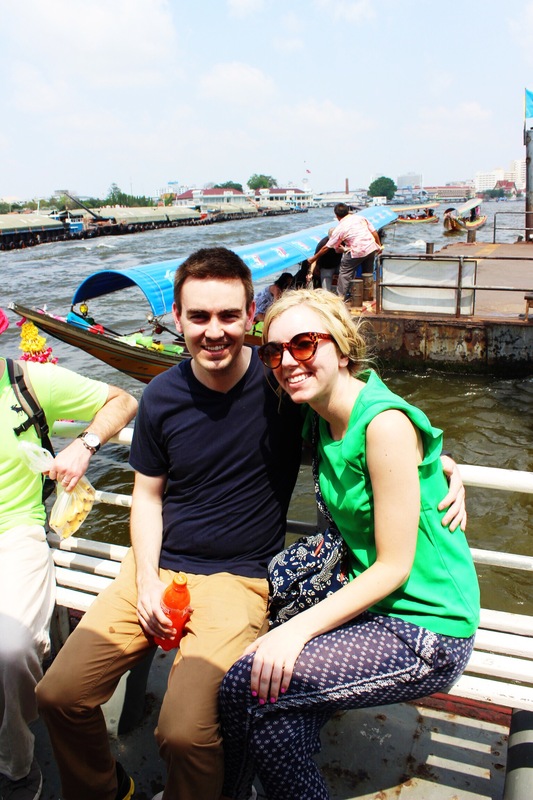 we decided to go by way of taxi to the grand palace because i was extremely jet lagged and the heat was not helping. it is about a 30 min ride from our hotel and taxi service is cheap in thailand! the grand palace is always insanely crowded but a beautiful and iconic site to see. i love the peaceful feeling when entering the temple. it is recommended to arrive in the early morning (temple opens at 8:30am) as to beat the crowds but b and i were not able to fit it in so in the afternoon we went. tip! entrance fee is 500 Baht, inclusive of access to wat phra kaeo, the royal thai decorations & coins pavilion and queen sirikit museum of textile, which are located within the grand palace compound, and to vimanmek mansion museum on ratchawithi road. additional 100 Baht for a rental personal audio guide in english, french, german, spanish, russian, japanese or mandarin. be sure to dress appropriately so you can enter the temple. pants are recommended and be sure to cover your shoulders. 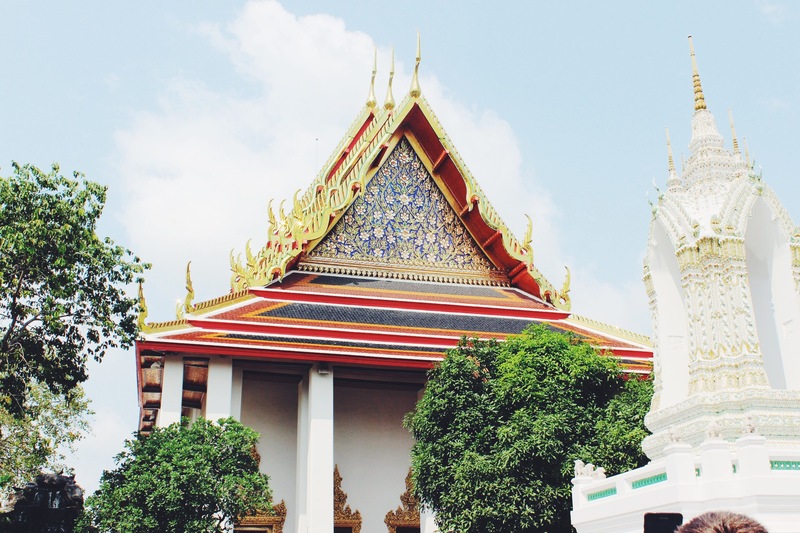 you do not need too much time at the grand palace because the crowds can become exhausting. 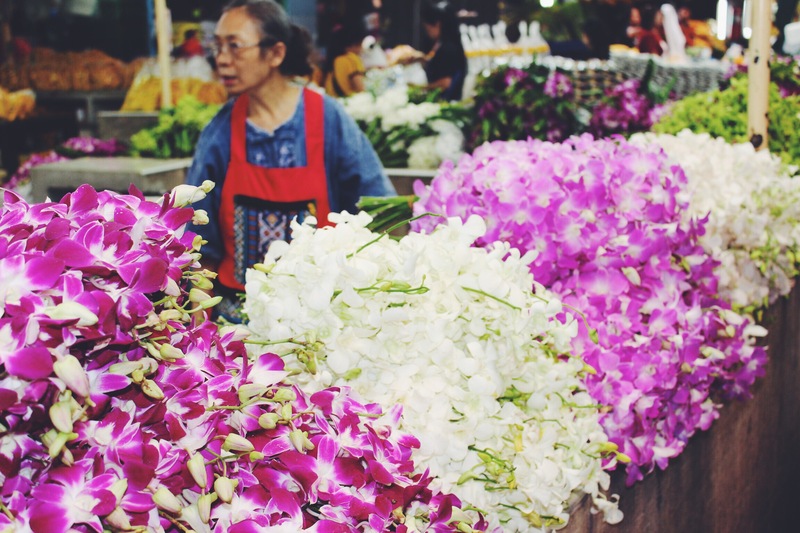 head on over to the chatuchak weekend market (open 9am-6pm)and peruse the hundreds of stalls for souvenirs and diverse food. this restaurant is on the pricier side in bangkok (approx. $40 usd for two people) but boy is it good. the service is exceptional, the food is flavorful / perfectly cooked and the atmosphere romantic. we especially loved the authentic menu to welcome our taste buds to thailand. do ask for the milder version of their dishes because even the mild version was a little much for b to handle (i could not handle ha). my compliments to the chef! another bonus is this adorable restaurant is walking distance from our hotel. every hotel we stayed at offered an american style buffet but the park plaza was by far my favorite! their selection of fruit, cereals, breads and egg dishes was divine. i could eat the museli they made for every meal. we booked the breakfast when booking our room but outside guests are also allowed to visit the hotel’s restaurant for any meal. this was our favorite part of bangkok. before heading to thailand, i greatly wanted to tour the floating markets but the iconic one was located a couple of hours outside of the city (time we did not have) so i looked into other tours. after much research, i came upon pandan tour group. pandan tour group offers many different tours as well as customized tours. at first, we were going to have pandan take us to a closer floating market but after more research (i research everything) it didn’t seem like the local floating markets hold a candle to the one outside the city. so we changed gears and settled upon a customized half day canal tour. for this tour, they gave a long list of sites and you were to pick two from the list. i liked doing a customized tour because then it was just us and the guide and we felt like we had a more local experience. pandan tour group picked us up at our hotel and took us to the boat express for travel to our first stop, the flower market (my choice obviously). our tour guide, tao, mentioned the flower market is more busy/bustling in the evening but we had an enjoyable time perusing the market at a slower pace. 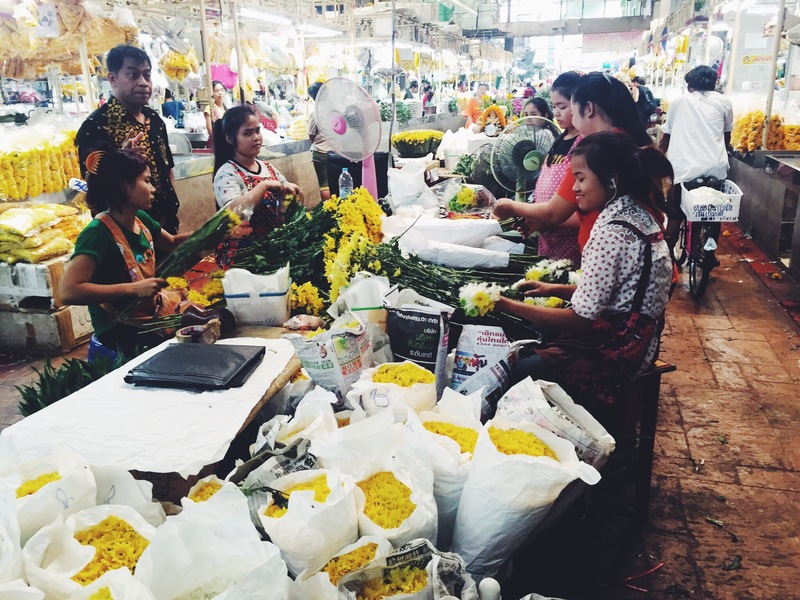 this is the fifth largest flower market in the world (first being in brazil). tao had us try some of the local fruits and explained what the different flowers are used for — give you a hint it is not for a man to give to his significant other! 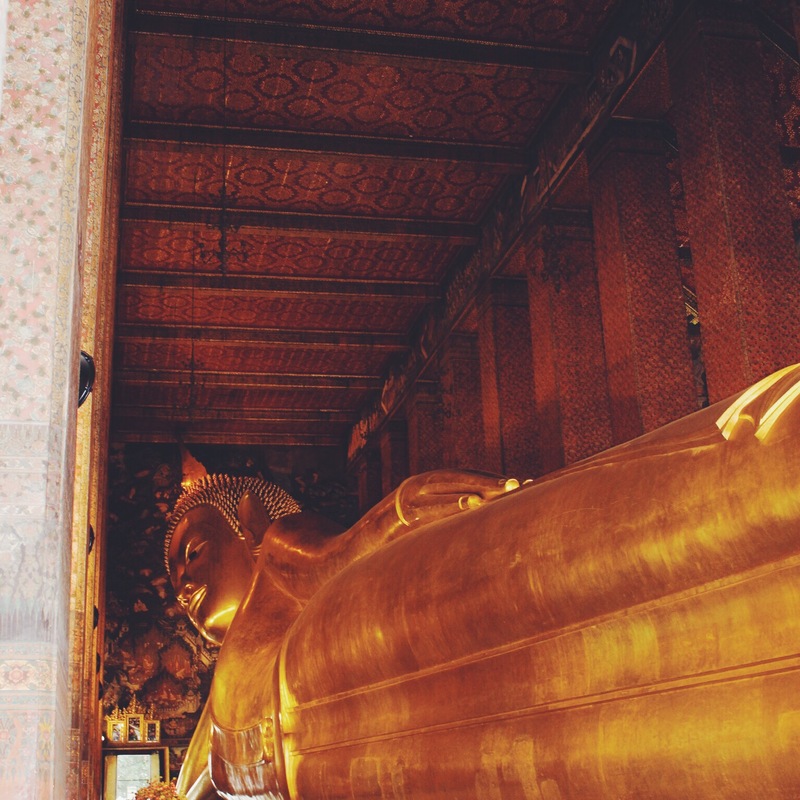 second stop, wat pho (reclining buddah) and wat phra kaew (emerald buddah) (b’s choice)! so much history here! it was so incredible to see all the details (asthetically) that go into these temples. 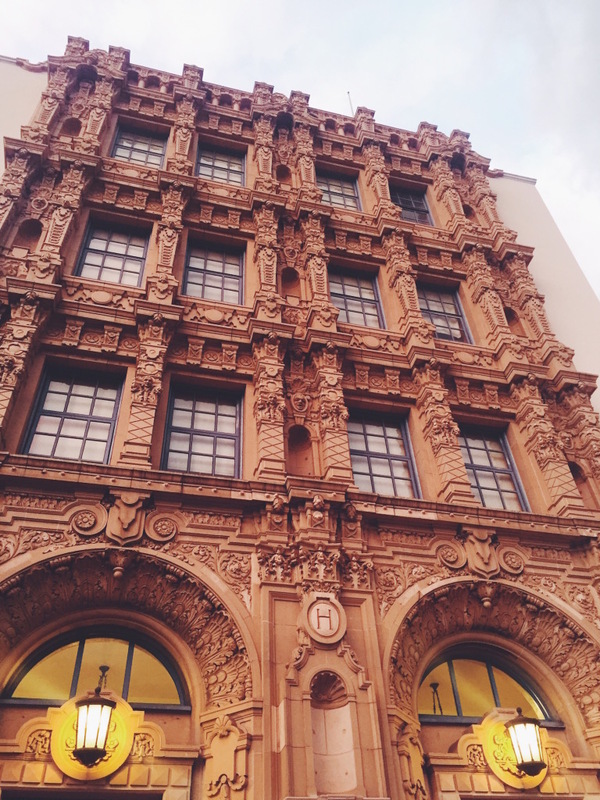 not to mention the architecture! i think i snapped a photo every two feet because of how breathtaking these temples are and sadly, pictures don’t even do it justice. the thai know how to make temples! tao really helped us learn the culture and lifestyle of thailand. i thoroughly enjoyed my time exploring these stunning structures. we also walked by the temple of doom but sadly it was under construction. we hope we can return and see it once it is restored because it looked like another great temple to explore! b likes to call me the monk stalker. 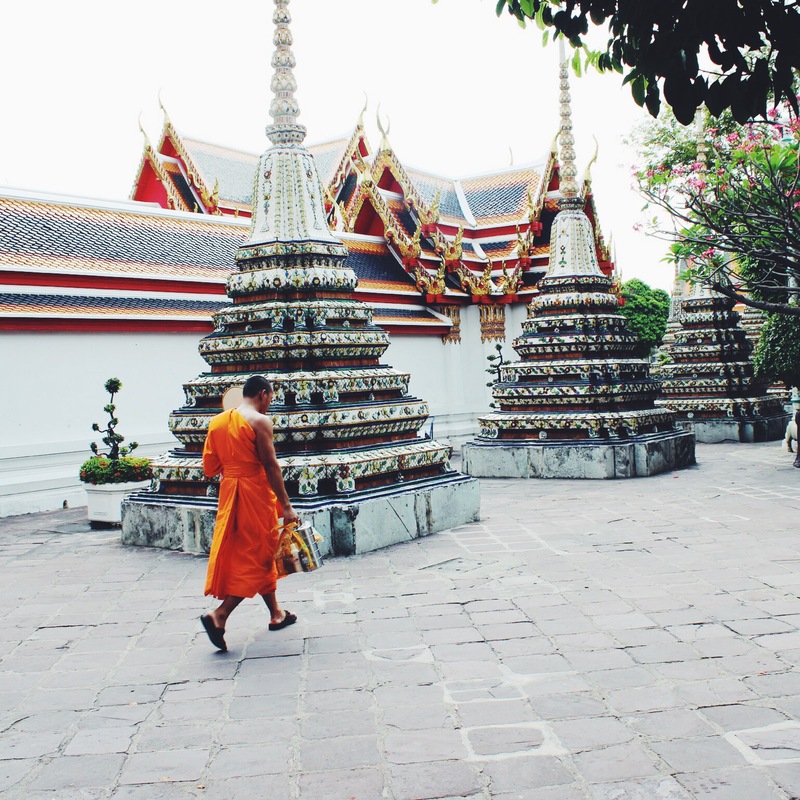 i don’t know why but i loved seeing the monks roam the temples. following the tour, we said good-bye to our new friend tao and roamed the streets for lunch. i really enjoyed walking the city and experiencing what life would be like as a bangkok resident. so technically, the above city guide is not even 36 hours but that is the exact itinerary we did and we loved every moment of it. 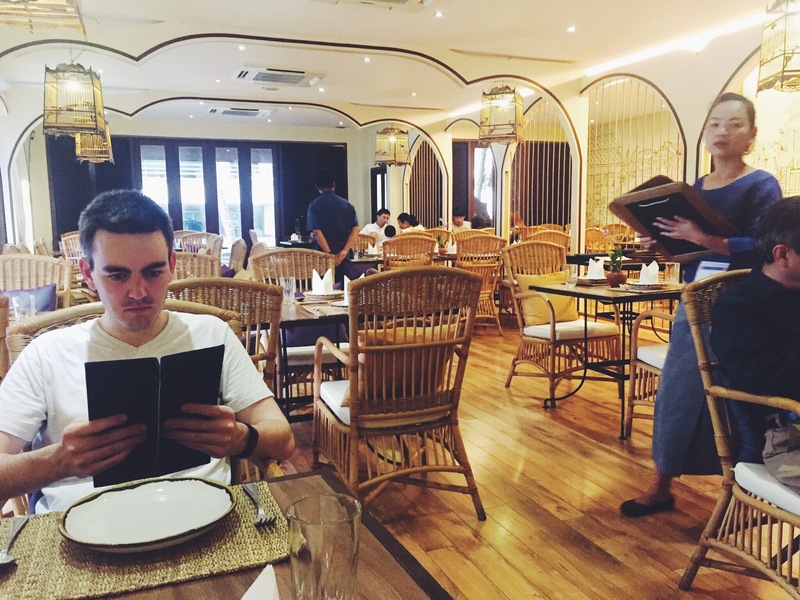 if we would have had more time, we would have fit in the floating market (damnoen saduak) and dinner at issaya siamese club. b also would have enjoyed renting a scooter and seeing the city that way but many people warned scooter driving is too dangerous for a tourist. before heading to bangkok, many people and blogs warned not to stay in the city too long. they said it is an over crowded city with much pollution and i do see where they are coming from. but there is beauty in the city of angels (nickname for bangkok). you just have to look a little deeper and enjoy it for what it is. 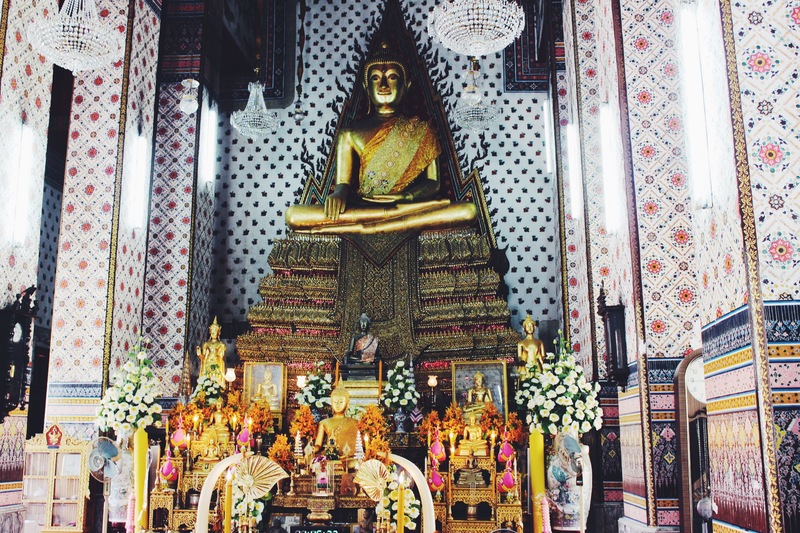 i recommend making a stop in bangkok for any thailand trip! This entry was posted in Guide to Thailand on 04/01/2015 by Ems. it has been a dream of mine for quite some time to visit thailand and last week i was able to do so. before visiting thailand, i had never been to asia so i didn’t know exactly what to expect when stepping off the plane. but let me just say that thailand exceeded my dreams and provided me with so many amazing memories that i will treasure my whole life. 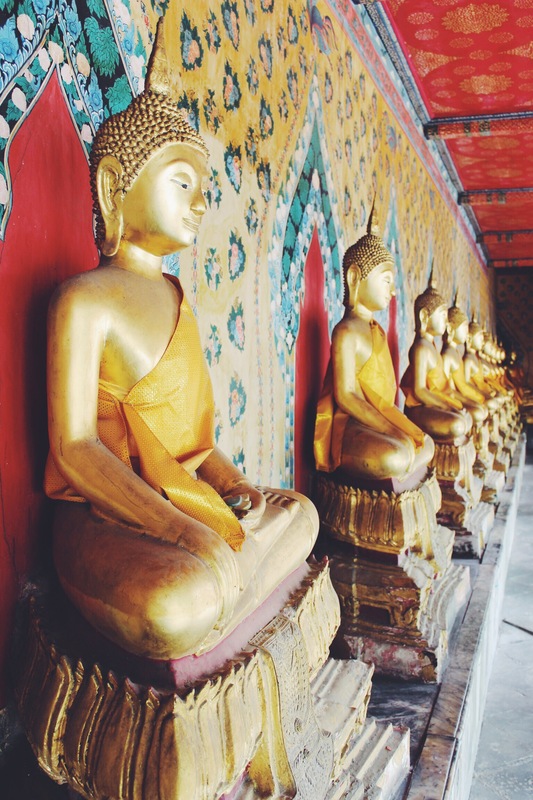 here are 5 reasons why you need to visit thailand…. 1. the scenery. every where i turned i felt like i was walking through a post card. from the high rises in bangkok to the jungle in chiang mai to the white sand in phi phi. every part of thailand is breathtaking in its own way. 2. the culture. before heading to thailand, i read a lot about the culture and etiquette. i think it is important to know customs of any country before heading there so you understand the people more and do not offend them (sometimes without even knowing it). for example, when entering a thai home or temple (or some restaurants and spas even) it is customary to remove your shoes. 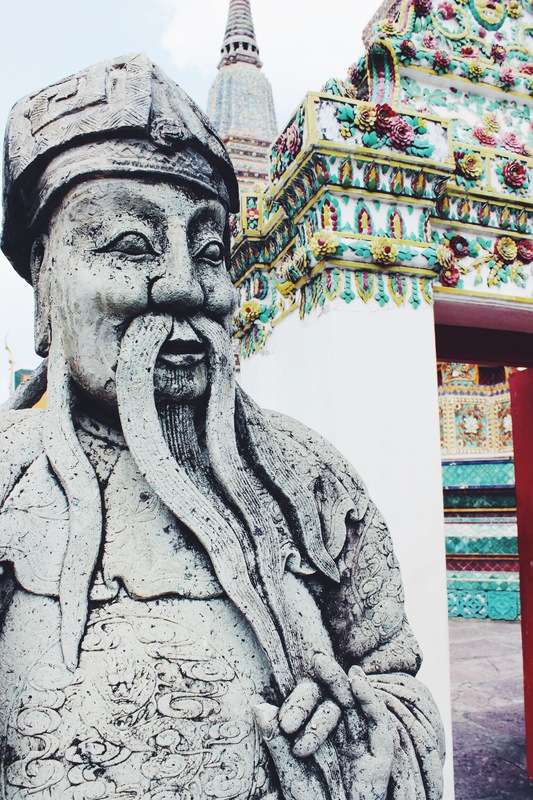 second fun fact – did you know thailand has had the same king for 60+ years? the king and all the royal family are held in extremely high regard and you must never speak negatively about them. if you do, you could find yourself in prison. 3. the spirituality. 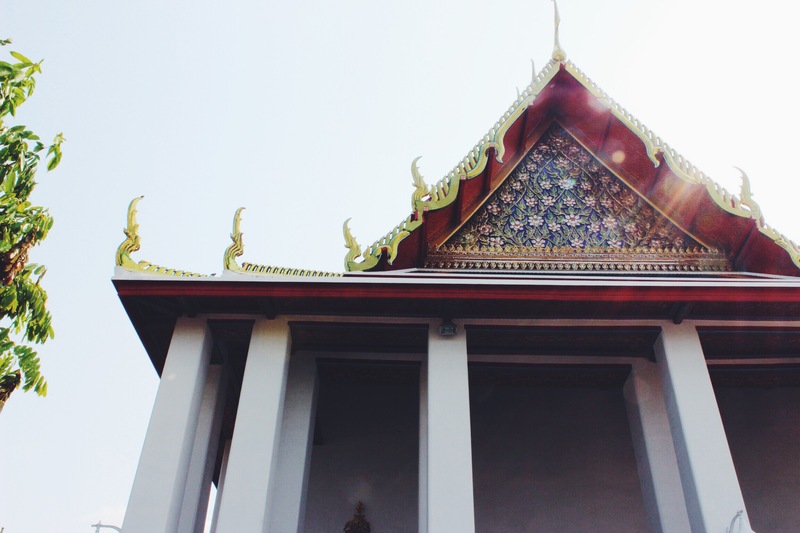 there are so many temples to see while in thailand and these temples are viewed as the holiest of places. our tour guide in bangkok, tao, told us that the country is 95% buddhist but they do have a catholic church in bangkok and respect those who are of different faith. he also explained to us that since most of the country is buddhist, they are very superstitious. you must not walk directly on the bottom of a door frame because there could be spirits there and they would be angry with you. i also could not get over the plethora of monks roaming the streets. tao (our bangkok tour guide) told us that most teenage men study in the temple and are monks for at least a couple years (he was a monk before becoming a tour guide). i really felt such a strong sense of peace while traveling throughout the country. 4. the animal encounters. 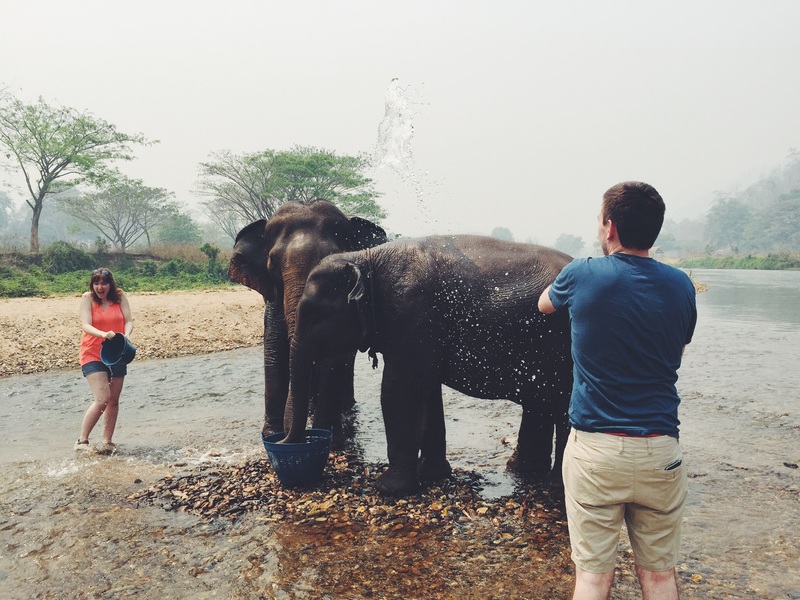 where else can you bathe, feed, walk and love on asian elephants? where else can you chill on the beach with monkeys trying to steal your food? where else can you scuba dive with sharks? okay there may be a few other places to do all of the above but that is beside the point. b is such an animal lover (as am i) and that is part of the reason we wanted to go to thailand so bad. there are so many opportunities to be around wildlife in their natural surroundings. 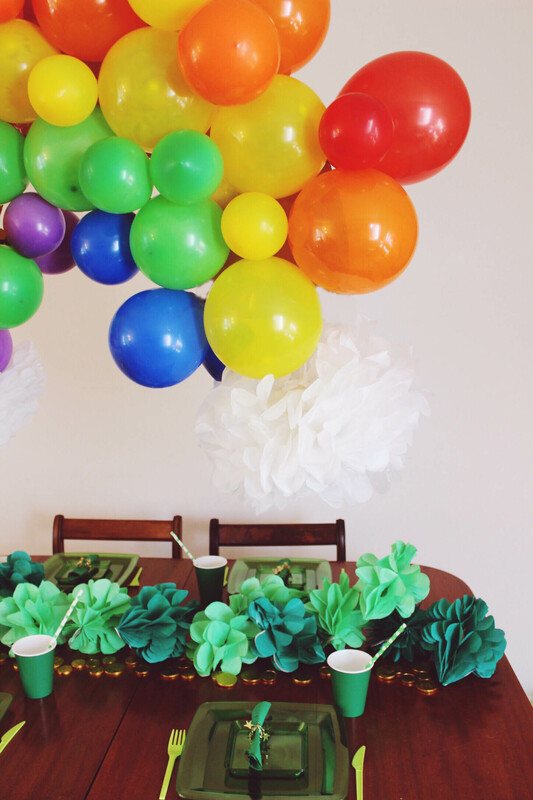 5. the food. i honestly can’t do a lot of spicy food but one of my favorite experiences while in thailand was taking a cooking class. it was eye opening for me to see how different curries were made ( & how to make them less spicy ha) and the origin of these dishes. did you know pad thai is the national dish but it has only been the national dish for 50+ years? for how old thailand is that was a bit surprising. 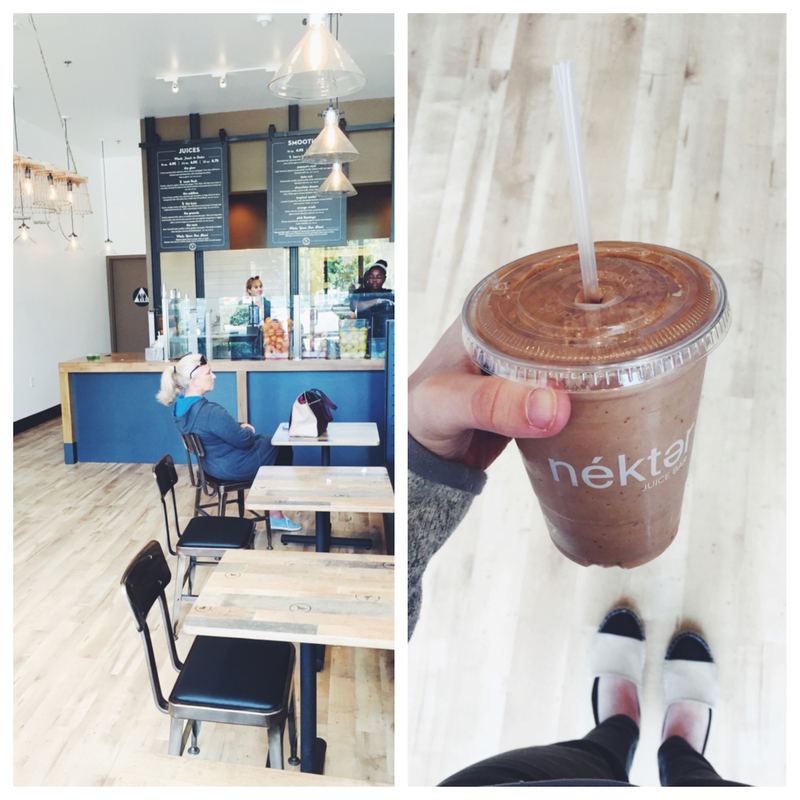 i also loved how there was fresh juice around every corner! oh thailand, i adore you. This entry was posted in Guide to Thailand on 03/25/2015 by Ems. we got back from thailand late sunday evening and i am still exhausted. who knew jet lag could hit this hard? and as much as i wanted to sleep the day away on monday, i had to work and then by the time i got off work i had to go grocery shopping since our kitchen was completely barren. then after all was said and done i was completely wired last night and could not fall asleep. i was still up at midnight so i knew i had to take something if i was going to get any rest before work the next morning. thank heavens for ambien. but i really hate ambien at the same time. it feels like i am on something the whole next day and it does not feel good. anyways, please excuse my pity party. after work i was actually excited to head to tj’s and grab some fresh vegetables after a week of eating out. 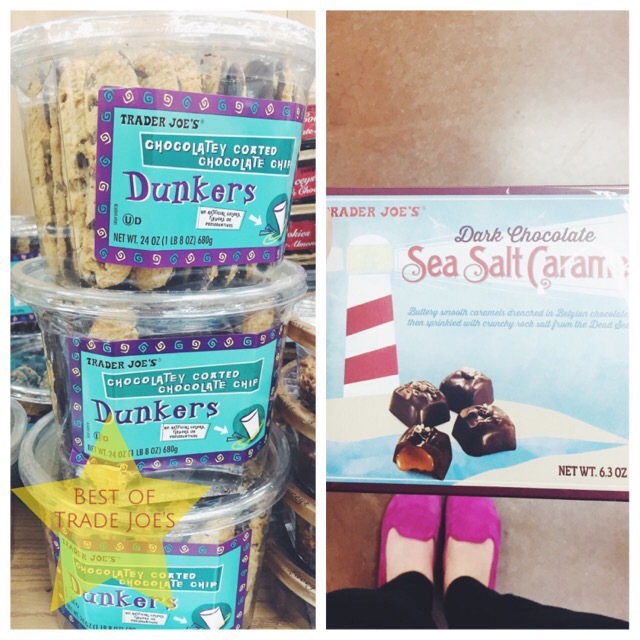 while i was perusing tj’s, i was reminded of some more of my favorite sweet tj treats. let me preface by saying i don’t dip oreos, chocolate chip cookies or graham crackers in milk. that is just not how i roll. i prefer crunchy to soggy. but tj’s dunkers are a whole different story. dunkers are shaped long and skinny so it is easy to dunk in any glass, the chocolate chip cookie is extra crispy so even when you dunk you still get a crisp bite every time and the bottom of the cookie is coated with milk chocolate. need i say more? i totally thought these sea salt caramels were a holiday item so it was a nice surprise to find them on a shelf yesterday. the dark chocolate and sea salt caramel combo is money. both the chocolate and caramel are such high quality that the combo is even more delicious. i also love how big the sea salt chunks are that top the chocolates. it really brings out the flavor. i have actually bought these caramels for a housewarming gift and the hostess couldn’t stop thanking me! 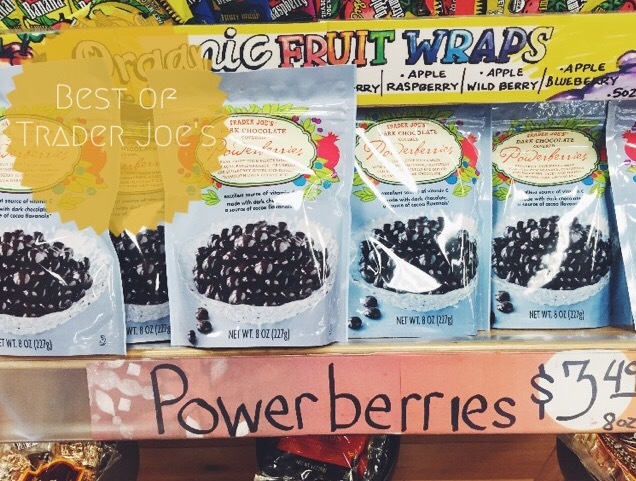 what are some of your favorite tj treats? 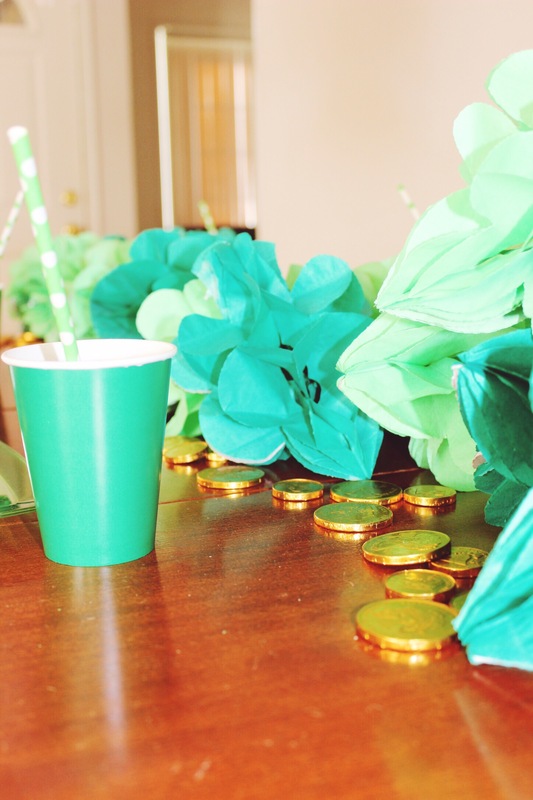 This entry was posted in Bites + Sips on 03/24/2015 by Ems. b and i are headed to the airport this evening to spend 10 days in thailand. i couldn’t be more excited. i have been wanting to visit thailand for many years and it is finally happening! we plan to hit up three different cities and explore everything that thailand has to offer. so basically i will be mia next week. i want to soak in this wonderful country and spend time with my husband. it will be my and b’s first time to asia. let the adventure begin! 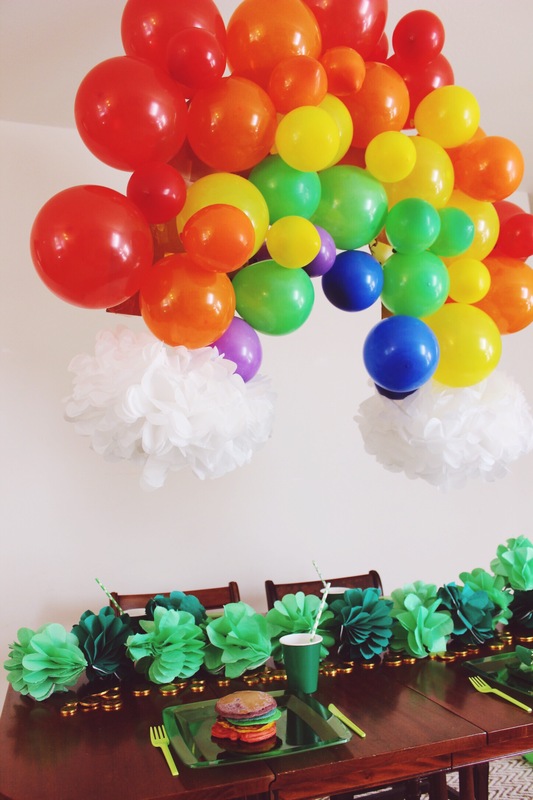 This entry was posted in Uncategorized on 03/12/2015 by Ems. 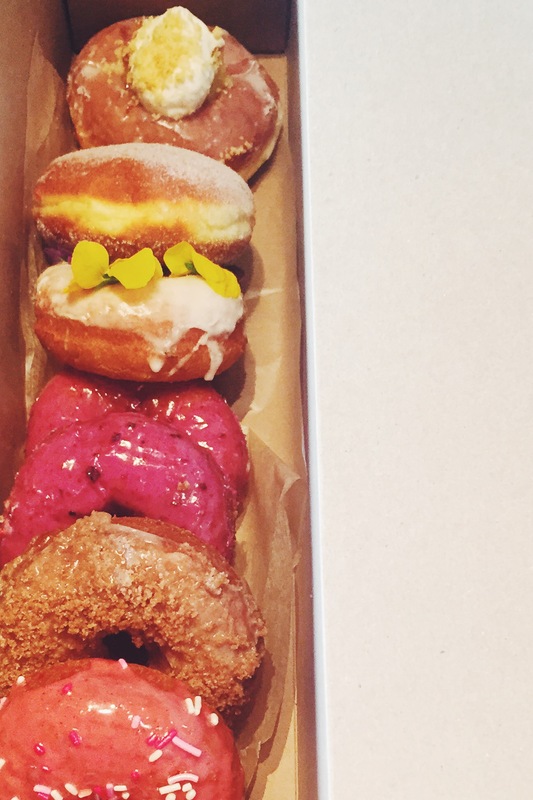 doughnuts are definitely getting the spotlight lately. 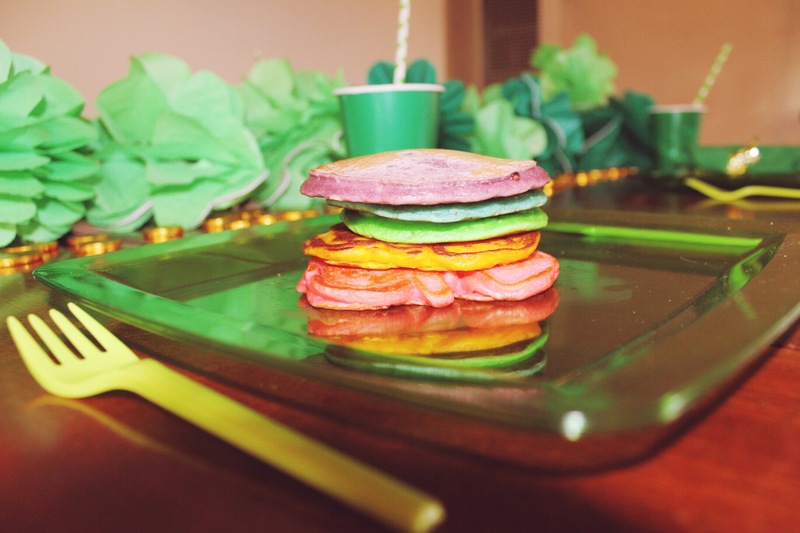 move over cupcakes, macaroons and ice cream cookie sandwiches. i am a doughnut enthusiast. always have been always will be. growing up, my mom used to buy a box of fresh doughnuts every monday for an after school snack. i would always race home to be sure i got one of my favorites (old fashioned, maple, apple fritter or sprinkle). when we traveled down to southern orange county a month ago, my mom told me about a new doughnut place she had discovered. i knew i had to try it and so on the last day of the trip, we headed to sidecar doughnuts in costa mesa. sidecar doughnuts serves the best doughnuts i have ever had. 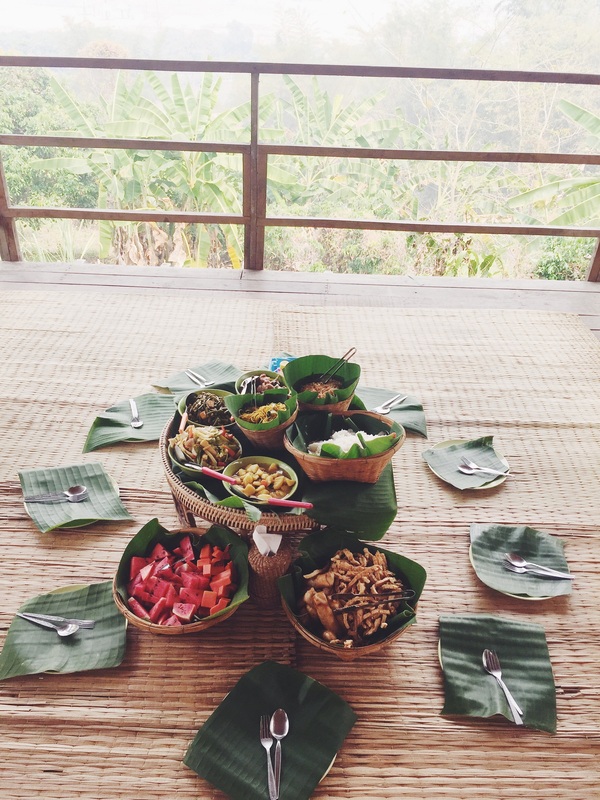 my mom has always encouraged us to treat good food like an experience so that is exactly what we did. sidecar doughnut offers 10-15 different flavors (some flavors do change monthly) and we tried 8 of them. yes, 8.
my favorites were huckleberry, lavender, cinnamon crumb, twist, and devils food cake. but even if they weren’t on my favorite list, no doughnut we tried was bad. 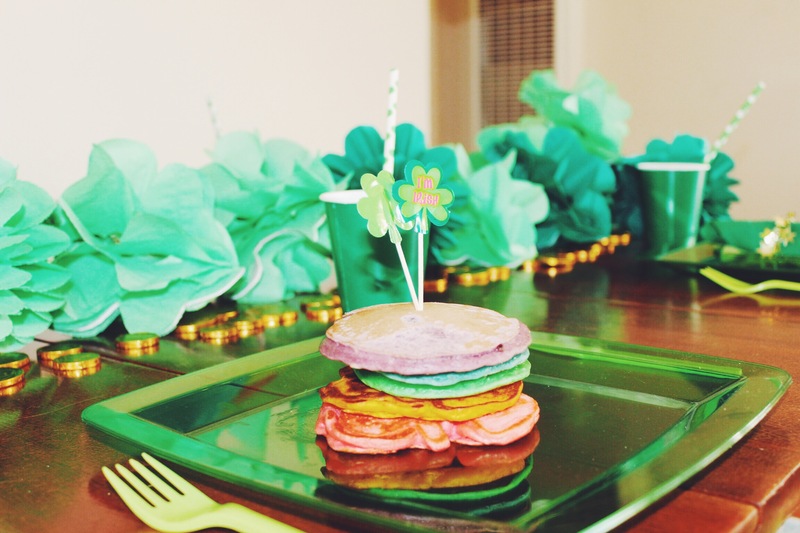 i love the creative flavor combinations, the gorgeous presentation and the melt in your mouth dough (like literally melt in your mouth). sidecar doughnuts makes their doughnuts daily and serves them warm. i think that may be another factor of why they are so gosh darn good. what is favorite doughnut flavor ?? also did you all ever know the difference between doughnut and donut? i actually had to look it up. apparently donut is just a short hand version for doughnut that became popular in the 20th century (thank you dunkin’ donuts). 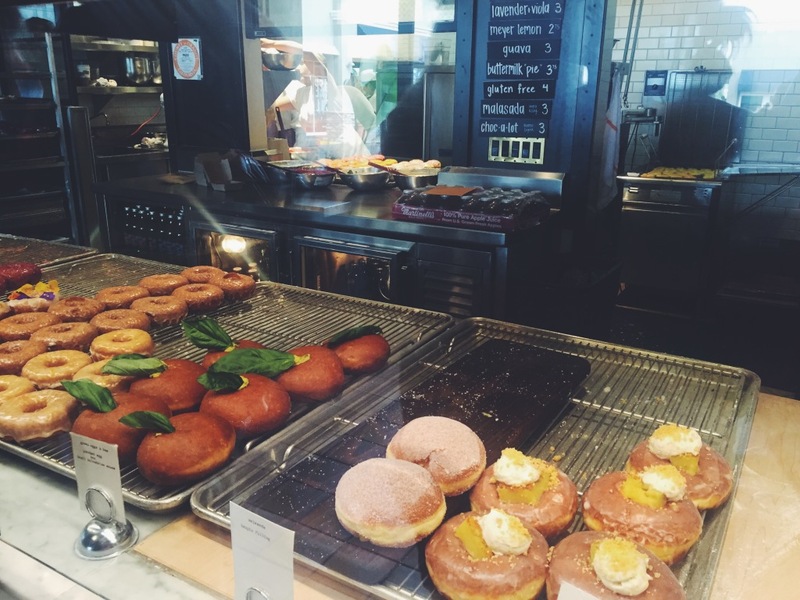 This entry was posted in Guide to Laguna Beach and tagged best donuts, costa mesa, donuts, doughnuts, orange county, sidecar doughnuts on 03/11/2015 by Ems. i feel like i blink for one second and it is already mid march. how is 2015 going by so quickly? it is true when they say “the days are long but the weeks are short”. three weekends in a row we have been up in the city & i am loving it. sure it is a trek in and parking can be a nightmare but once you are there, i soak it all in and relish every moment, every view, every bite and every turn. 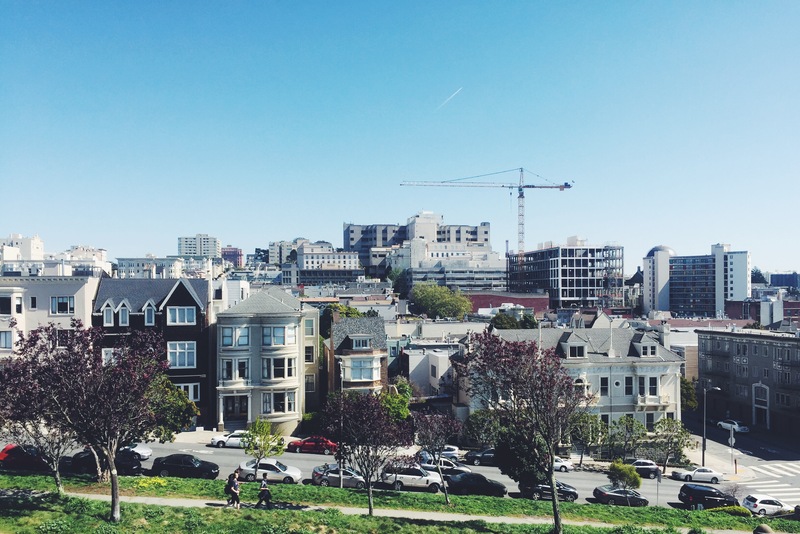 san francisco is a beautiful city. 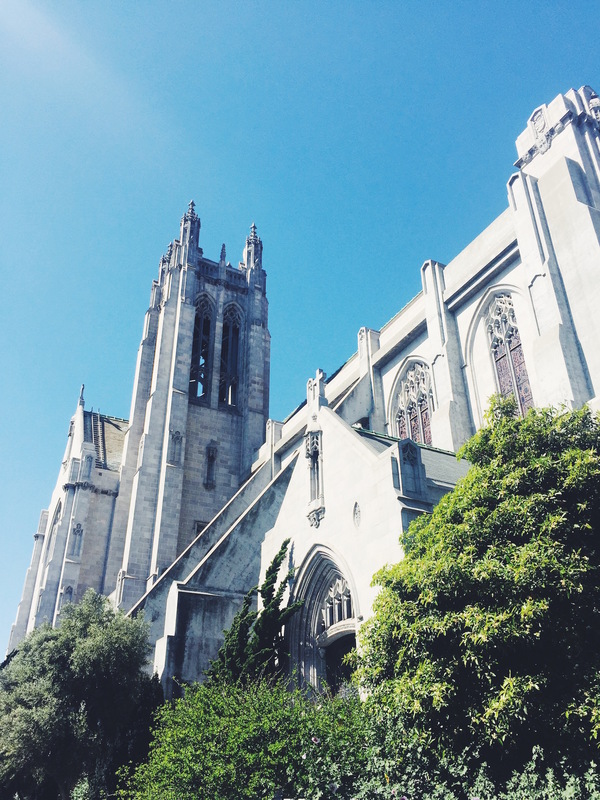 ^^ oh and those churches make me swoon every single time. my office has fresh flowers delivered every week & last week the office was filled with pink and purple tulips. 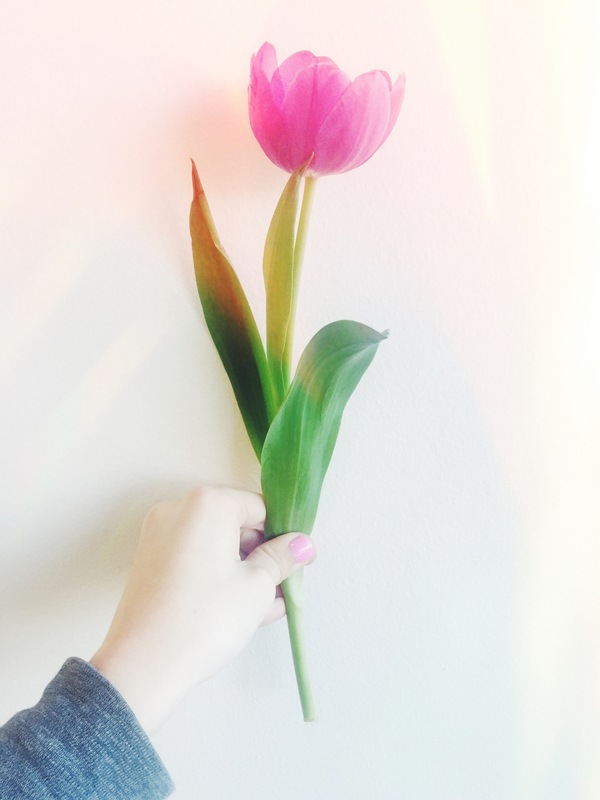 nothing says spring more than a beautiful tulip! and i had to save the best memory for last. my little sister (the redhead) decided to serve a mission for the church of jesus christ of latter day saints in houston, texas. i am so proud of her and her decision because it is a big one. she will be serving for 18 months and during that time we will only be able to email her and talk on the phone twice a year. i would be dishonest if i said i wasn’t terribly sad to see her go but she is where she is supposed to be. 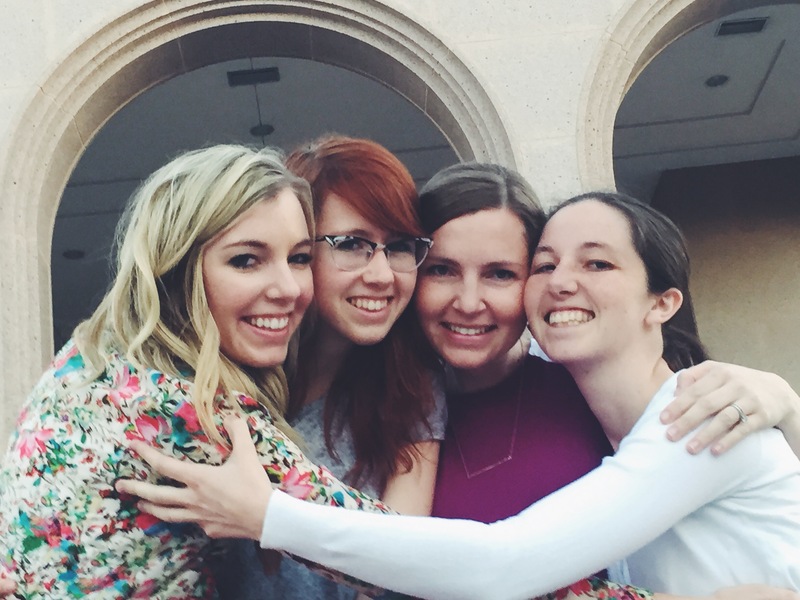 i am so grateful for my 3 sisters. they each inspire me in different ways. my love for them runs deep. 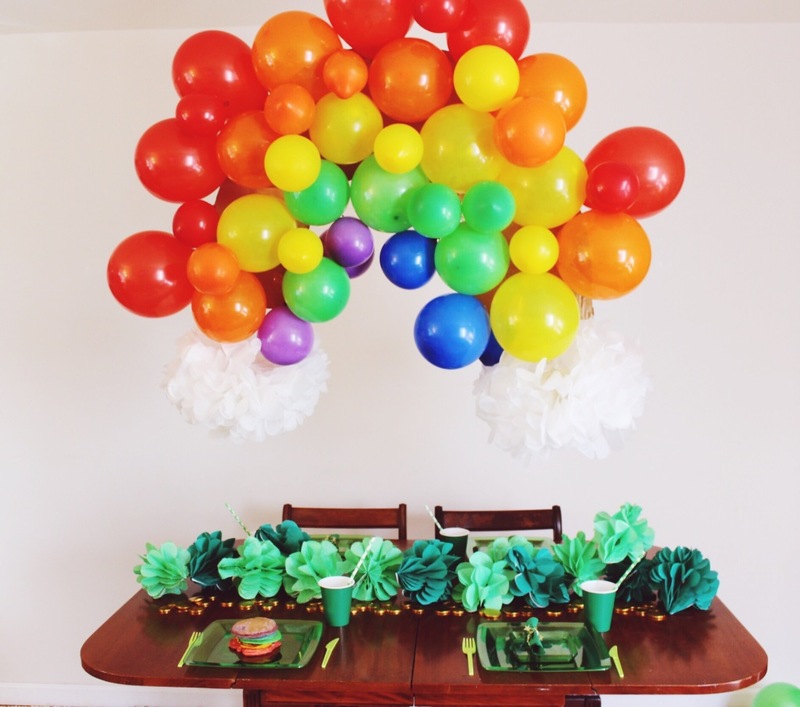 This entry was posted in Let's Get Real on 03/09/2015 by Ems.